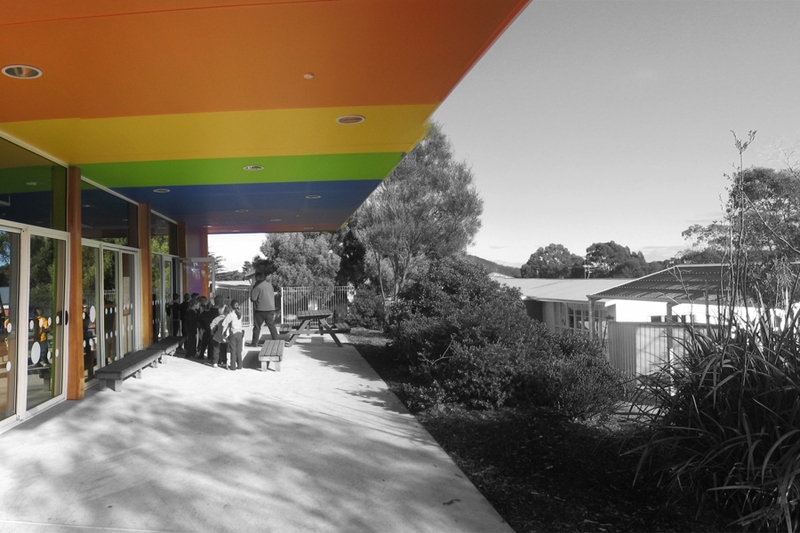 The new prep classroom at Tasman District School was developed as part of the Australian Government's Building the Education Revolution [BER] scheme and was completed mid 2010. 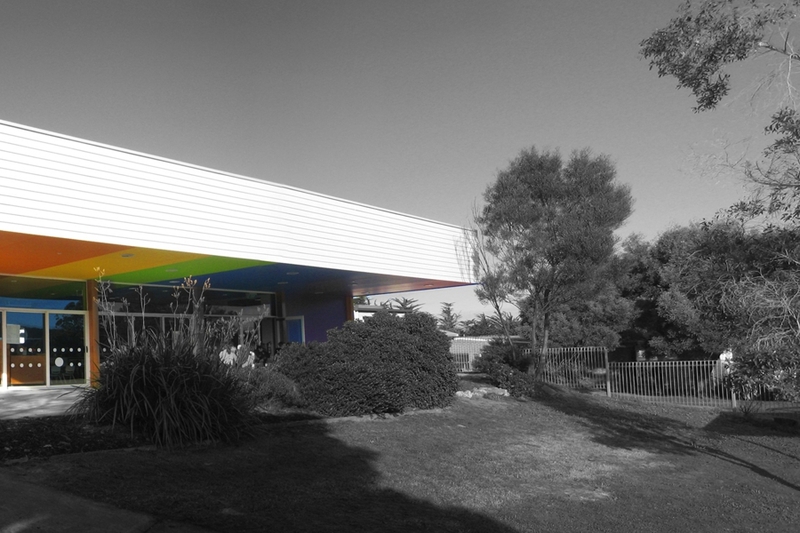 TERROIR was engaged to design the new prep classroom which replaces a temporary ‘terrapin’ building, and is located in the school’s early-childhood area, sharing an outdoor play space with the kindergarten classroom opposite. The prep classroom features a large cantilevered roof which acts as an ‘outdoor classroom’, providing a flexible learning environment. Externally, the building relates to the surrounding weatherboard buildings. 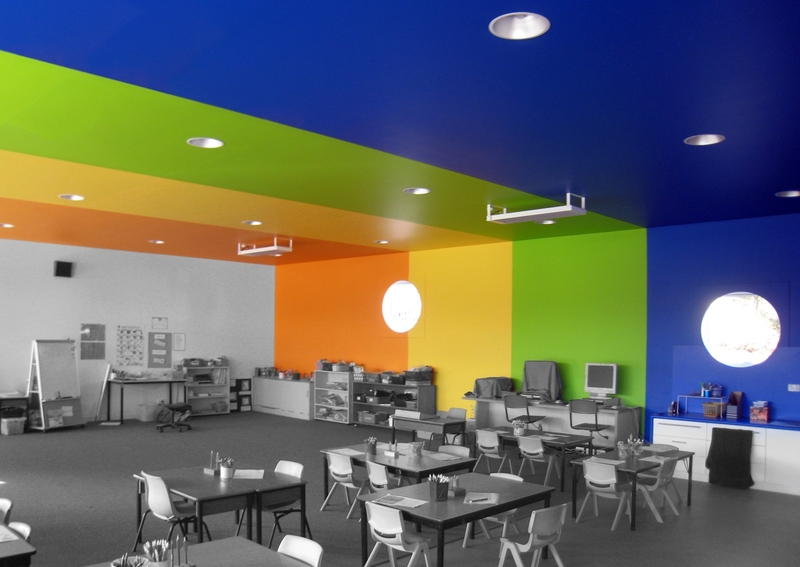 Internally, the ceiling transforms into a rainbow which continues from the exterior to the interior of the classroom. 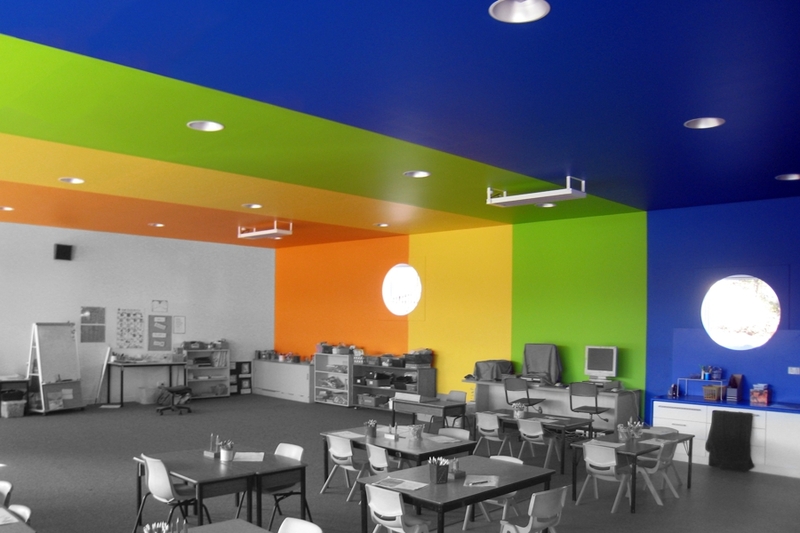 The banding of colours helps to differentiate the functions of the classroom in the open internal space. The result is a project which elicits wonder and excitement among the pupils, as a contrast to the usual prosaic or more "adult" school buildings.